The Rose River Loop is a wonder to hike, with all the beauty of the Cedar Run hike, but with less of the physical exertion. 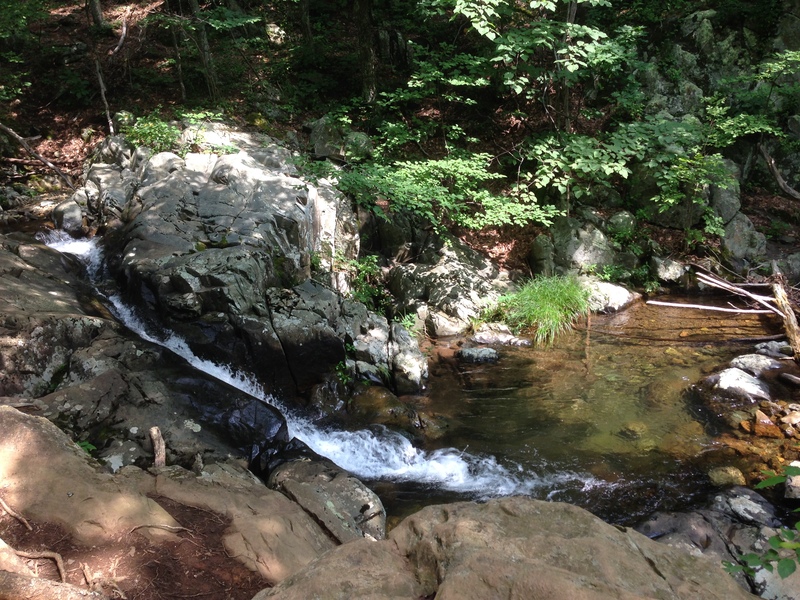 Tod and I started from, mile 49.4 on Skyline Drive and took the trail down, about one mile before seeing the stream. We followed the small cascades of water until we came to a large falls. Several young women were hanging over the tree trunks taking pictures. Tod, not much for idleness, said “Let’s get out of here before one of them falls and needs to be rescued!” We left them behind to continue the hike. The first big falls was one of many spectacular water features. If this had been the good ‘ol film days, my I would need big bucks to process the film. I took a million pictures! How could I not? It was beautiful. All this time, I had been wondering about bears. Fortunately, I guess, we had not seen any. Then, a hiker stoped as as we approached, warning us that a bear was on the trail ahead. Of course, Tod wanted to move forward. I was more cautious. All of us watched as the bear meandered up the hill. Not long after, I was engrossed in taking pictures of a waterfall when Tod shouted, “Look over there!” Sure enough, a bear was on the other side of the stream. I took pictures (of course!) and we moved on. The second part of the hike was pretty much uphill, hugging the water as we ascended up with the river. Eventually, we got to a bridge that led to the turn off for Dark Hallow Falls. Since it was only 1/4 mile up, we decided to go. Dark Hallow can be approached from above as well, and since it is a short but steep hike, there were a ton of people there. The Falls are stunning, but I wish there were fewer people. On our way down we ran into the women who had been hanging from the tree trunks so, luckily, it appears that they didn’t need any assistance. 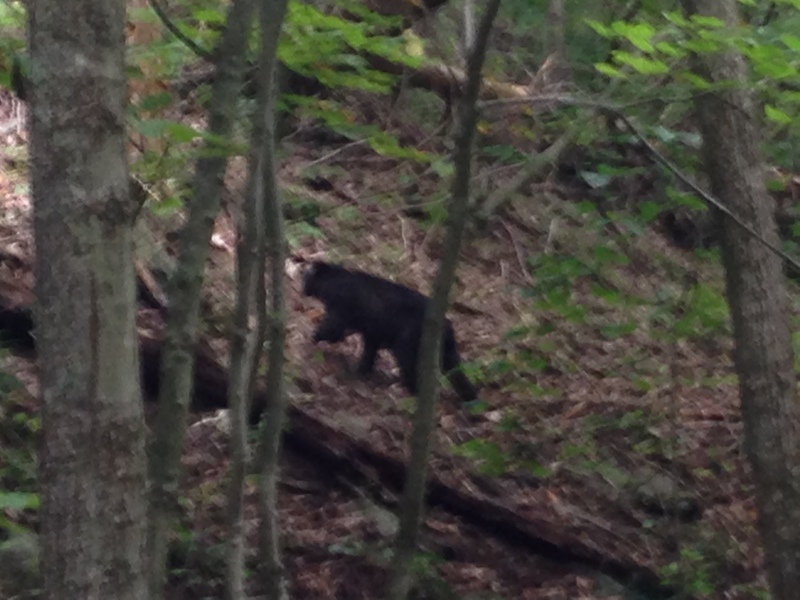 Just to add a bit more excitement to the hike, we saw another young bear while walking the fire road back to the car. (Three bears in one hike!) Overall, this 4.5 mile loop was well worth the trip. 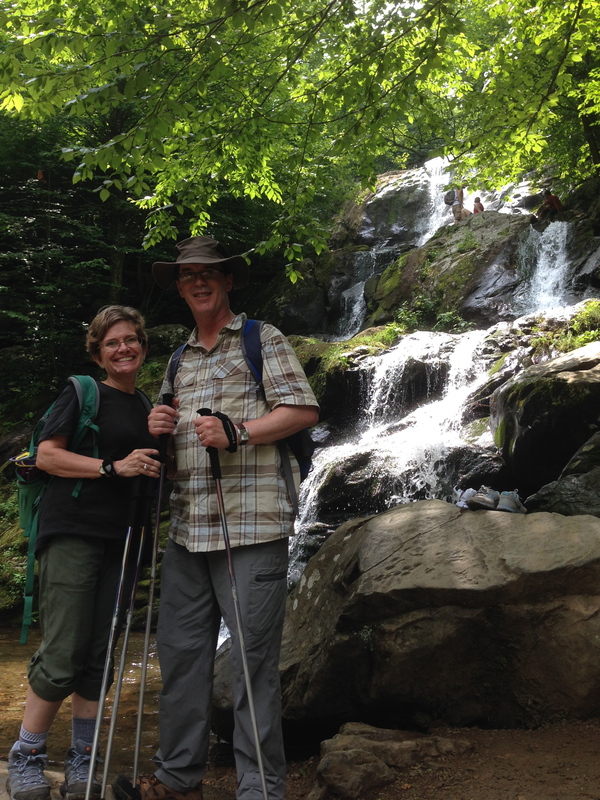 This entry was posted in Maple's Jots on Jaunts and tagged bears, Dark Hallow Falls, Day Hike, hiking, Rose River, Shenandoah National Park by Maple. Bookmark the permalink.